Home » Lakeland Employmenttitle_li=Lakeland Jobstitle_li=Polk County employertitle_li=Polk County employmenttitle_li=Polk County jobstitle_li=Polk County Staffing Servicetitle_li=Winter Haven employmenttitle_li=Winter Haven jobs To Give or Not to Give: Should You Buy Your Boss a Christmas Present? Consider Your Work Environment. If you work in a very small office, where your boss and various employees are like family, giving gifts to one another could come naturally, regardless of the position you hold within the business. If this is the case, by all means, shop for your employer and fellow workers to your heart’s content. However, if you work in a large office with multiple levels of hierarchy, and you rarely speak to those who are in command, there is really no need to spend your resources or your time on gift-giving. A simple “Have a merry Christmas!” in passing, or at the most, a simple and inexpensive Christmas card, is enough to keep you from looking like a Scrooge, but won’t be awkward and unnecessary. Don’t Play Favorites. Do you have several superiors? Essentially, this means you have more than one boss, and chances are, you likely have one or two that you favor over the others. This can be touchy when it comes to holiday gift-giving. If you buy a gift for your favorite boss (or two), but leave out others, then you are left looking like you’re playing favorites which doesn’t go over well in any environment. 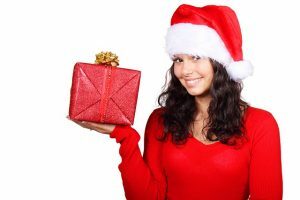 Sure, you could choose to buy a gift for all of your superiors, but that could get expensive, and it might be hard to find a suitable gift for those you aren’t as close to. In this situation, either abstain from doing gifts, or do something you can give as a “group” gift, such as a platter of baked goods for the office to share, or perhaps bringing in coffee for all of your superiors on your last work day before Christmas. Don’t Be The Teacher’s…er Boss’s…Pet. We all knew at least one classmate during our childhood school days that had a habit of “brown-nosing” to the teacher. It didn’t go over well with the rest of the kids then, and it won’t go over well in an office as an adult. While it’s great if you want to please your boss, do so by working hard and proving yourself in the office, not by giving gifts and going over the top during the holiday season. Again, if you risk looking like you’re trying to get on the good side of the boss, consider giving a gift that the entire office can enjoy, such as a holiday treat or a round of (work-appropriate) drinks like coffee or hot cocoa. This will let your boss know you are in the Christmas spirit and appreciate them, but will also bring your coworkers in on the action, so you’ll be a winner all the way around! Are you on the hunt for employment this holiday season so you can afford that long list of gifts you’re waiting to buy? If you are ready to embark on a new career journey, or are ready to change things up in your work, give us a call. PHR Staffing Solutions provides employees for companies throughout Polk County, and we can help you in pursing a job that meets your needs while utilizing your own unique qualifications. Let us help give you the gift of getting hired this season. Give us a call or apply for one of our current openings here on our site.